This is an interesting and challenging order for a bag. 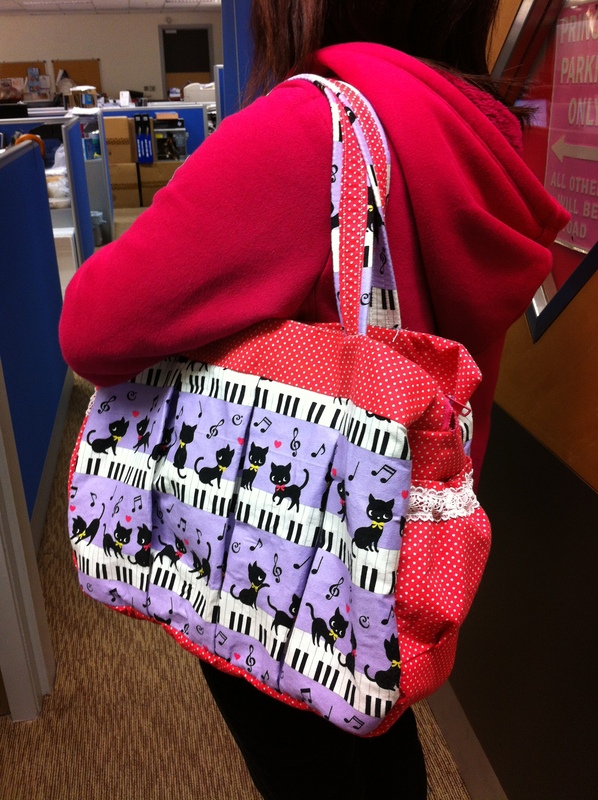 Miss QQ loves bag with many layers and pockets, and she’s a cat lover! 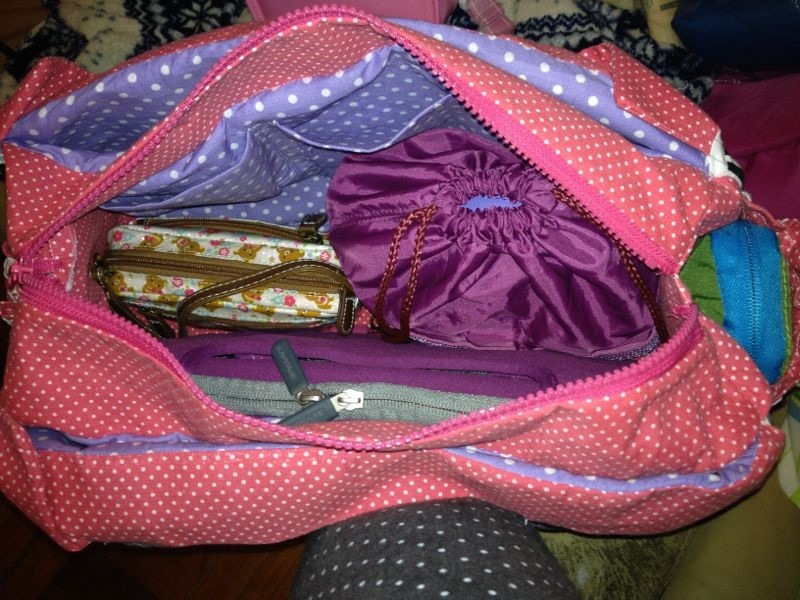 She wants a bag for her travel, with many layers so that she can organise her things easily. I set off in drafting the layout and picking the fabrics. She already has a cat printed fabric that she would like to use, so my job is to find other fabrics that goes well with it. 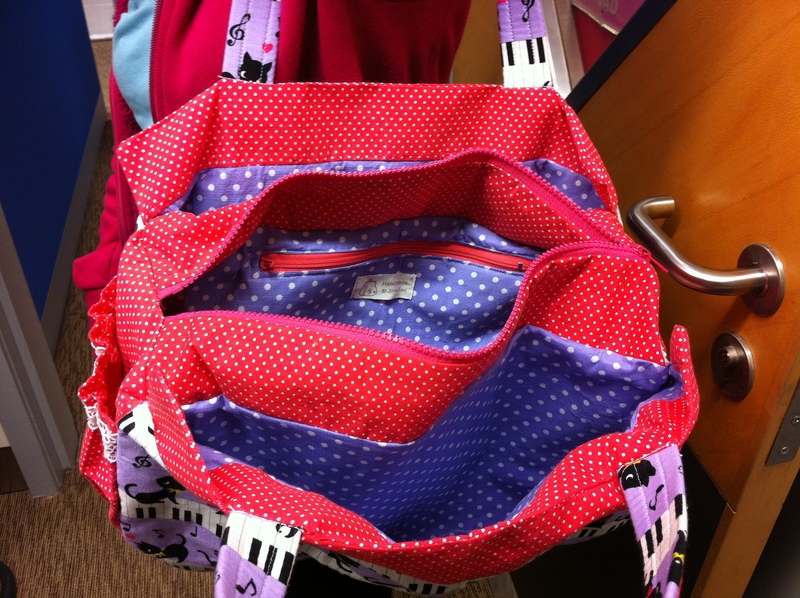 After much discussion with Miss QQ about pockets and layers, here it is the final output of the bag. She love this bag and she is taking “cat bag” with her travel to Japan! 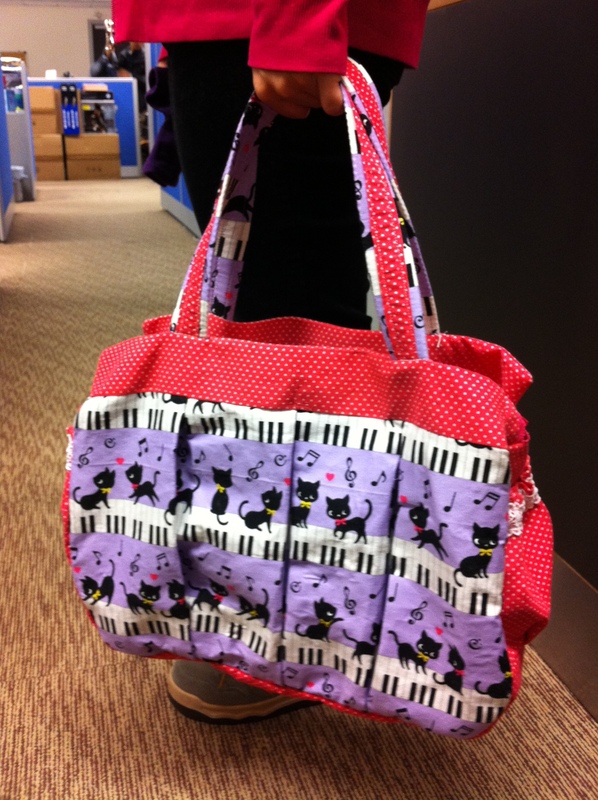 I am so glad to be able to make a dream bag for Miss QQ and I hope she has many joyful travels with the “cat bag”.